Collaborating across the miles is common practice today, as more and more companies allow employees to work remotely. "Workers will increasingly be asked to connect with others across geographic and organisational boundaries." 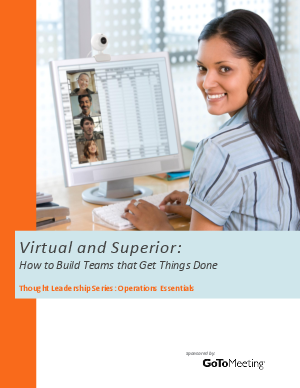 This ProjectsAtWork article explores how to build a world-class virtual team that will boost productivity and speed project cycles from anywhere.